Oasis LC-580iL Lift Chair by Pride Mobility takes comfort to a whole new level, while helping individuals who may need help getting up from the seated position. 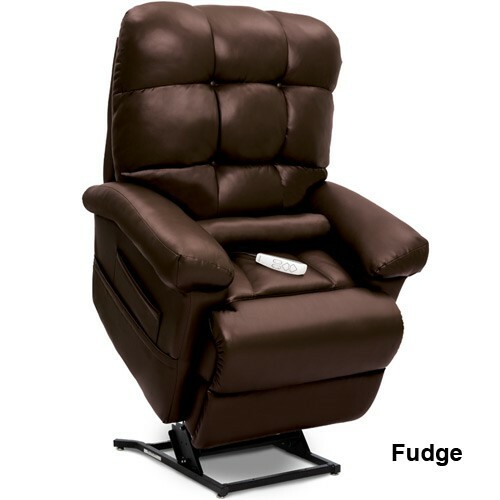 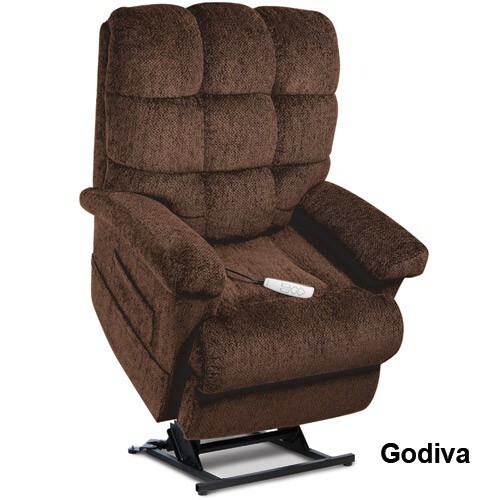 This chaise lounge recliner-style lift chair features overstuffed padding for elegant comfort and design, as well as contoured seating and pocketed coils that provide individualized support and relaxation. 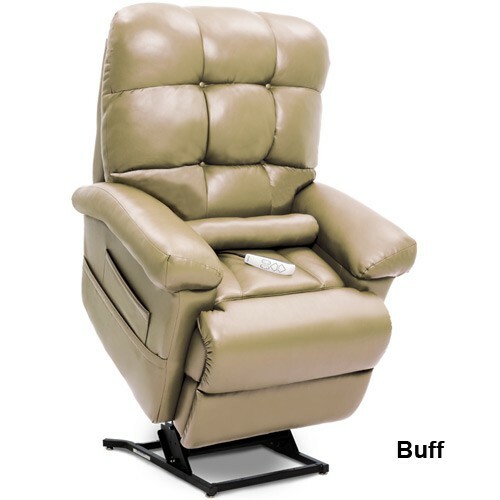 The sinuous No-Sag back delivers a combination of sturdy durability and flexibility, ensuring optimum comfort. The frame is built with furniture grade plywood, which means less cracking and warping over time than many hardwoods. The Oasis LC-580iL, has independent motors for the back and footrest, making it capable of infinite reclining positions, including Trendelenburg and zero gravity positions, the latter of which is beneficial in relieving back, neck, or body pain or strain, and can also aid in relaxing during sleep. 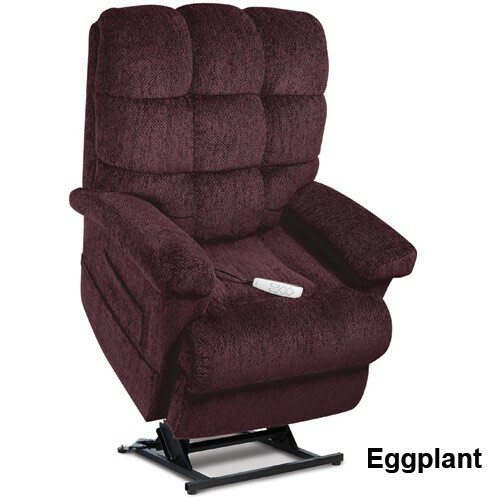 The plush 2" foam runs throughout the entirety of the chair, for the best in comfort and support. 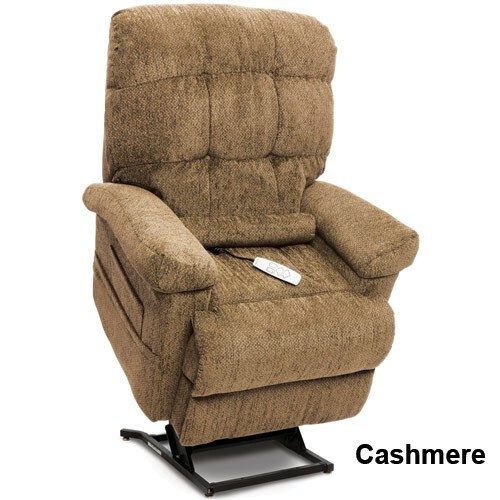 The Oasis LC-580iL Lift Chair is easy to control thanks to its convenient hand control with USB charger port. 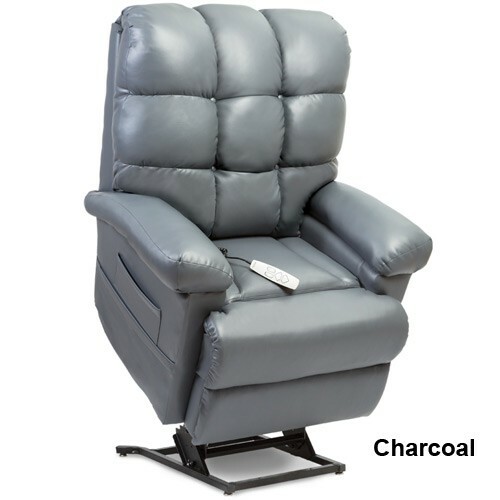 Also for your convenience, are industry-exclusive quad pockets that offer plenty of extra storage for your remote control, books and reading glasses. Vitality Medical also carries other items that would pair well with the Oasis LC-580L Lift Chair, such as the Dependa Grab Bar by Healthcraft Products and Care Steps Gripper Socks. Pride Mobility offers a lifetime-warranty on their chairs. 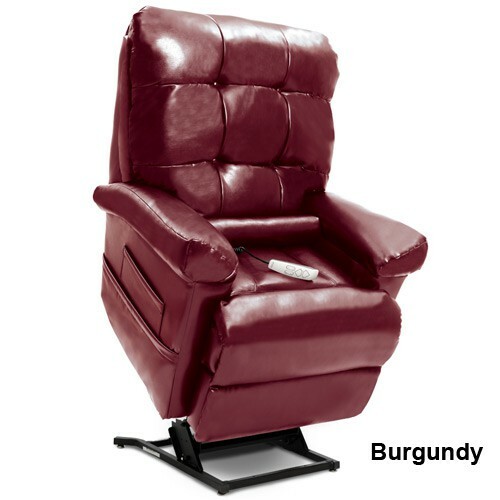 If it ever breaks just contact one of our representatives and they will help guide you through the replacement process.